Werevamcabra’s are a trio-hybrid (Werewolf, Vampire, and Chubacabra). They are a merging of the three species in a way that werewolves do not like. Though foggy in their origin, they are hunted down by pure werewolves in an ongoing battle against the ravages they bring against mankind. They have a keen sense of smell, are very strong, and have a morbid sense of humor. The person right next to you could be one, and you would never know until it was too late. Are all werevamcabras evil? How were they created? When will they strike again? 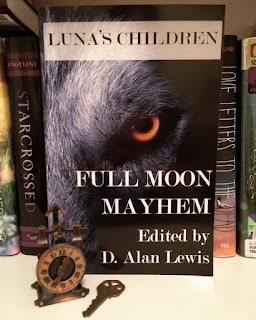 Ask the author, Miracle Austin, after reading her short story, The Study Break, in Luna’s Children: Full Moon Mayhem edited by D. Alan Lewis. What’s in Luna’s Children: Full Moon Mayhem? We met Miracle Austin at an Author’s Fest event put on in downtown Denison Texas. The first thing we noticed was the rather foreboding werewolf walking around with a lightsaber. Miracle writes horror and suspense stories for teens and above. 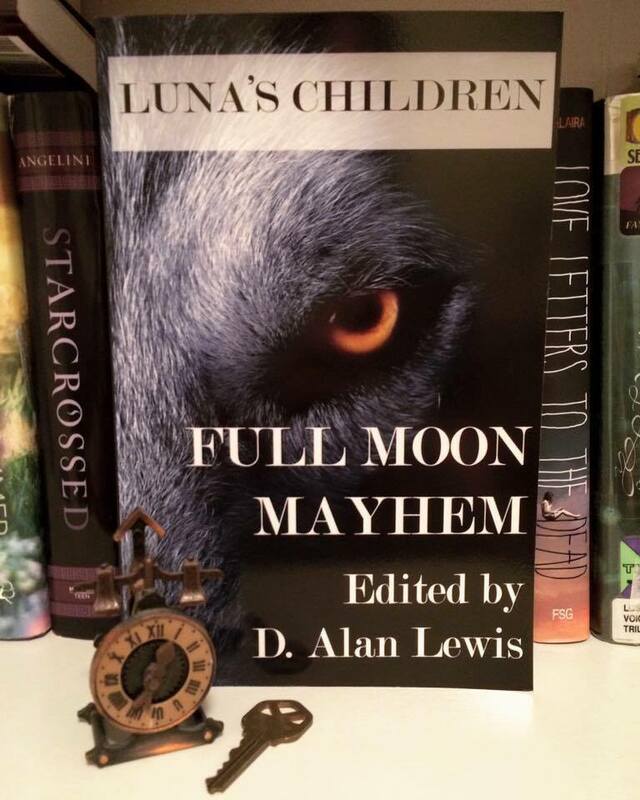 One of her stories, The Study Break was featured in the anthology Luna’s Children: Full Moon Mayhem edited by D. Alan Lewis. She would be glad to autograph the book and picture. Just go to her website at www.miracleaustin.com and contact her through her online form at http://www.miracleaustin.com/contact !